The story of Mary and Martha consists of only a few lines in the Bible. It is a story many of us have consider a bit casual but for me – a born cooking enthusiast and a food nerd, it is unforgettable of a fable sojourned into the journal of my memory, scratched with a fingernail on the chalkboard of my head that would stay for a very very long time. Mary’s story have been accounted many a times and she has acquired praises and poems written for her remembrance; a fame well deserved while hapless Martha, presumable the older of the sister left no inspiration behind except a baleful legacy that she is forever known in Biblical history for her one complain on that fateful day when she opened her home for the seventy-two people who have decided to stay for lunch. The story came to my life in a full meaning once upon a hot Delhi summer Saturday evening when I was in the kitchen nimbly preparing dinner for guests of how many numbers I cannot recalled. And Indian summer can be brutal, stabbing your whole anatomy causing sweat to ooze out from every possible pores. The kitchen was assiduous, reverberated with the clanging of empty pots and pans blended by the cacophonic roar of the exhaust fan in between. And the living room echoed of laughter from guests unaware of the burden involved in producing the piquant supper they’re just about to have. I was exhausted, drenched in the squalor of my sweat when the story of Mary and Martha came abruptly to me like a apposite surprise. That impulsive moment. Many articles and essays I have read of Mary and Martha’s story have always refute Martha all the while exalting Mary. And honestly I find it difficile to believe that Jesus rebuke Martha for wanting an extra hand. I did not blame Martha even diminutively when she said “Lord, don’t you care that my sister has left me to do the work by myself? Tell her to help me”. 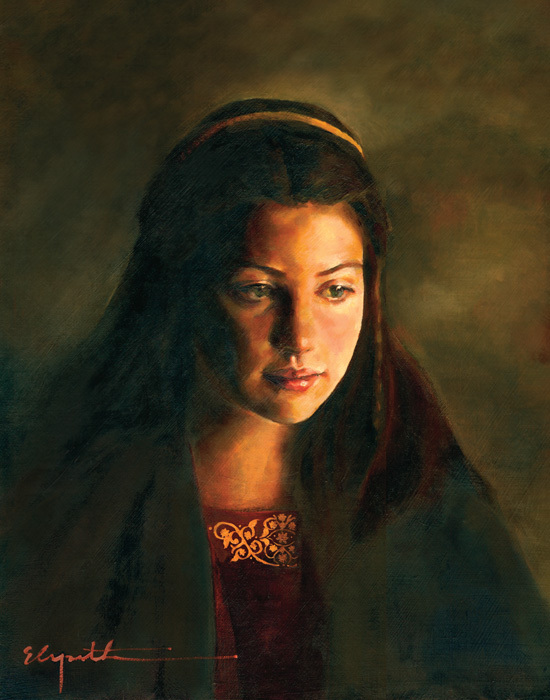 It seems like a reasonable accusation on the behalf of Martha, who saw her younger sister sitting idly at the feet of Jesus and listening to what he said while she was engrossed in the various preparations that need to be made. As an insignificant someone who have cook for various someones I can relate to Martha’s position. Besides opening her home to seventy-two people she had to do all the cooking and the cleaning all the while entertaining guests. It must be a tedious work, no doubt. She was aware of the fact that a great man who she admire very much have decided to stay for lunch in her humble house and it was her duty to see that everything was according to plan. To me she seem more human and easy to relate to. As an elder of the two sisters, the one more correlate to the term “housekeeper” and the one more prone to complain, I know I have been Martha my entire life – always anxious, always worrying. I am also guilty like Martha who forget just how big our God is trying to make everything just right when all we need to do is trust quietly with all our heart like Mary. I should strive to become more like Mary but today decidedly is not going to be Mary’s day, at least on my blog. Today is Martha’s Day. Today I celebrate Martha – for all her attributions, good and bad. “Martha, Martha … you are worried and upset about many things, but only one thing is needed. Mary has chosen what is better, and it will not be taken away from her.” Luke 10: 41, 42. As my besotted but adventurous mind would allow me, I presume the story must have end with the embarrassed Martha going back to the kitchen, stirring the half-cooked stew, forever silent and eternally bound by the walls of her kitchen and of domesticity. Though the cure for the Martha’s syndrome is the Mary’s solution I suggest we all give Martha a break even if it’s only for a day because after a thousand years of remembering her as the more unfavorable of the two sisters , lets us remember her for her other qualities – for being kind enough to open her home and for being a subject of a lesson learned. I always consider Martha to be such a “tragic” character who just happens to be at the wrong place, and at the wrong time. Maybe it’s because I know exactly how it feels to have a younger “irresponsible” girl around the house who neglects her duties or dumps it at the hands of others, which is never a good thing, in my opinion. I know it’s a Bible tale and it’s got a good point, but having been there, the frustration doesn’t go away easily. I agree with you and that was the circumstance leading me to write this particular post. I’m glad I’m not the only one who find justification in Martha and that of her shortcomings, all the while subverting the supposed idiosyncrasy and accepted approach of the Bible. Well said and well done…Continue doing what you’re doing and dont ever stop. I will be there someday 🙂 Being Mary is a gift I have yet to receive.